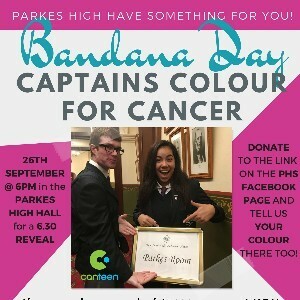 Help the Parkes High School SRC support young people when cancer crashes into their world. When we reach $1000, school captains, Gordon Richter and Emeline Lavaka will dye their hair! Better yet, once we reach $1000, for every donation over $10 you'll get a say in what colour they dye their hair! Did we mention, Gordon and Em won't know what colour their hair will be either? 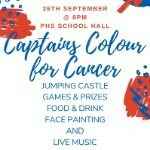 Join us at the Parkes High school hall at 6pm on September 26 for more fun activities and the big hair reveal! 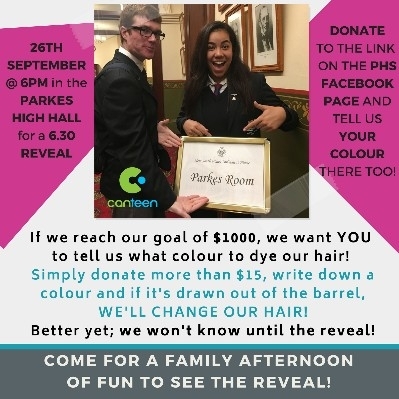 So come on down to the Parkes High school hall at 6pm on September 26 for a family fun evening and witness the big hair reveal! After a bake sale at school Which was supported greatly by the PHS student body we successfully raised $280. 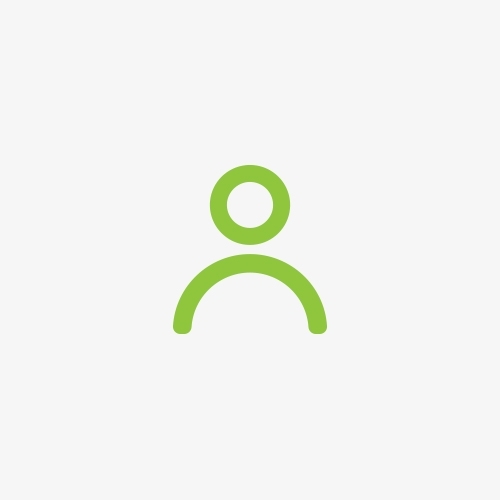 Supporting you guys, well done on achieving your goal. Great work and well done raising money for such a worthwhile cause.